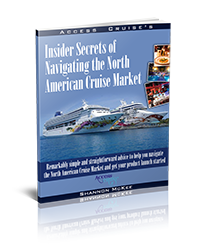 If you’re an experienced cruiser you already know the drill, but for the first-time cruiser having a “cheat sheet” to navigate this new world helps. After finding your stateroom, here’s what’s next. 1. Get a copy of the ship’s plan. They are usually found in the main reception area. Get acquainted with the layout of the ship: restaurants, bars, entertainment venues. Solve the mysteries of “forward” and “aft”, just remember there will be an emergency drill. All guests and crew are required to attend an emergency drill before the ship leaves port and it’s no joke. It’s a coast guard regulation. When they start making announcements and the alarm sounds make sure you know where you’re supposed to be. Safety is very serious business onboard. 2. If you haven’t booked shore excursions in advance now’s the time, especially if you’ve never been to a particular port. From a walking tour to zip lining, there’s something for everyone and booking onboard is smart for a lot of reasons. Cruise lines carefully vet the tour operators they work with to ensure guest safety, exceptional value and a memorable experience. 3. Everyone talks about the food. There’s food everywhere, all the time, of every kind you can imagine. It’s not hype. People have amazing culinary experiences on cruise ships. If you want to try one of the many specialty restaurants that today’s ships offer, make a reservation when you get onboard. They fill up fast. 4. 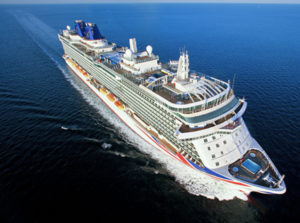 Every vacation should include time to pamper yourself and cruise ships have some of the most spectacular spas anywhere. They offer the usual mani/pedi and hair salon services but they also include cosmetic services like teeth whitening. Indulge yourself with a service. The options are endless. 5. Find a place to sit down, relax and order a drink. You’re on vacation…just make sure you can find your stateroom again.